It’s hard to believe that we’re halfway through August already. When I was still in school (and university, if I’m honest!) , this was the time of year when you had to start prepping for the new term. It was all about stationery shopping and the pain of finding new shoes. Suddenly, the endless summer was drawing to a close real fast. This year is a little different. There is no new term to prepare for. Instead, I’m determined to make the most of the last few weeks of summer. 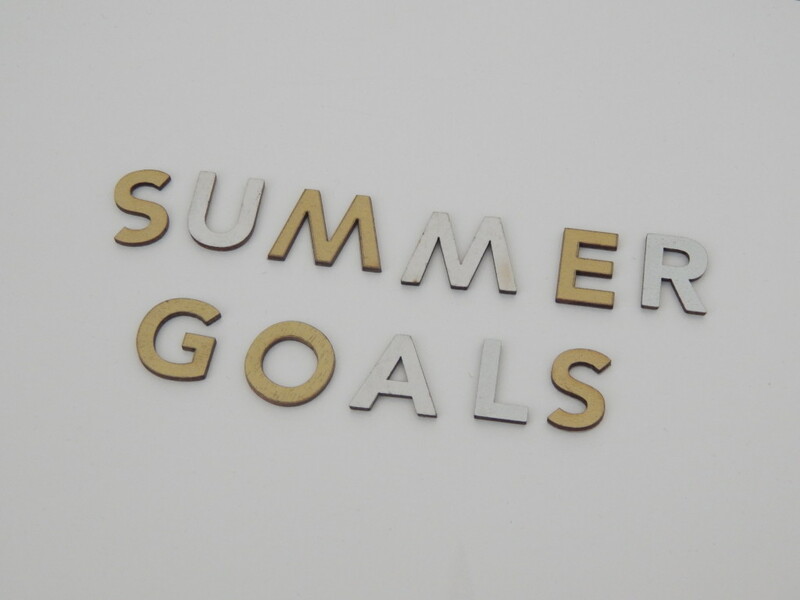 I’ve had an amazing couple of months since I graduated from university and my summer began but there are still one or two things that I want to try and do before we lose the warm (ish) weather. Most of them are quite simple but that doesn’t mean that I’m any less keen for them! 1) Go to the seaside. I really, really miss living beside the sea. Luckily Darlington isn’t that far from the coast so I’m hoping that I can make another trip or two to the beach while the weather is nice. If I can get a 99 while I’m there, even better. 2) Have a picnic. I’m not sure why I am so keen for a picnic since I can’t remember the last time that I had one but I suddenly just really want to go for a picnic. 3) Explore new places. Since I’ve been gone from the North East, loads of new things have opened. I have a very long list of cafes, restaurants and towns that I want to explore now that it is all on my doorstep again. I’m looking forward to falling in love with my local area again. 4) Plan some new adventures. You may have noticed that I’ve being doing a little bit of travel recently and I’ve definitely caught the bug again. I want to plan some more adventures, both at home and abroad. Do you have any recommendations for city breaks? I’m even thinking about doing some solo travel, though I’m not entirely convinced just yet. 5) Finish reading the Lord of the Rings trilogy. This is probably the most concrete goal on my summer bucket list but considering the fact that I started reading this series in January, it could be a challenge to finish it! I recently read the second book in the trilogy while I was away and now my enthusiasm for it is back! Watch this space.